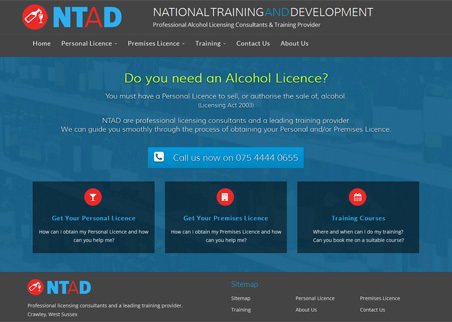 A responsive, bespoke site with specialised backend for course and class maintentance and bookings. 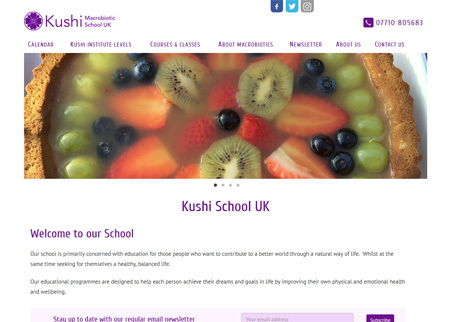 Kushi School UK offer various courses and classes with a full booking and payment system. 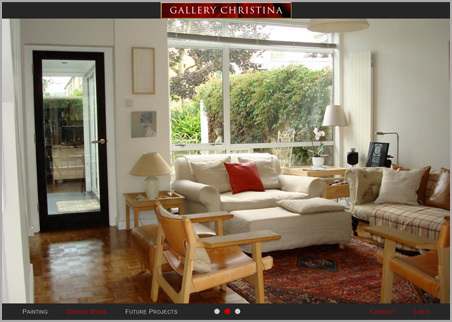 A responsive, bespoke site with fully featured backend. 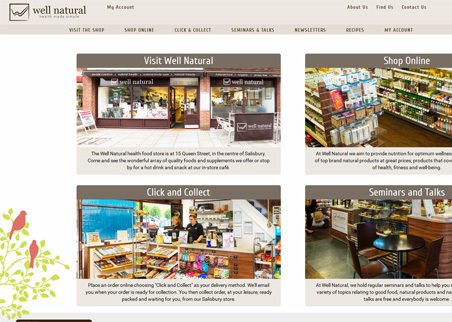 Well Natural is a retailer of organic and natural foods, Nutritional Supplements and Body Care products. 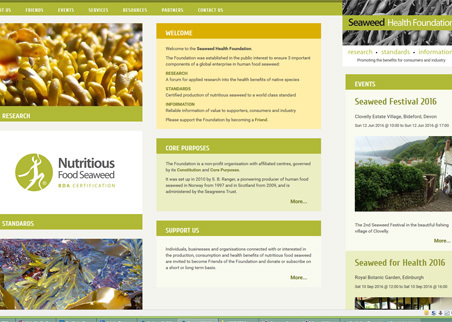 The Seaweed Health Foundation is an independent non-profit organisation promoting the use of seaweed. A touch-optimised, responsive, bespoke streaming radio station website. 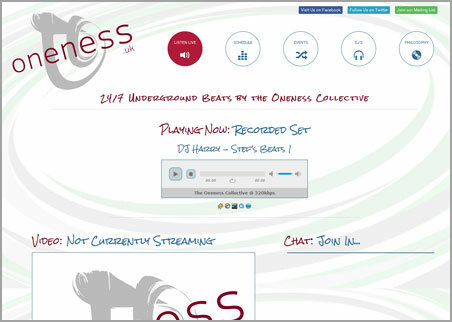 oneness.uk deliver 24/7 streaming of both live radio shows and recorded sets. 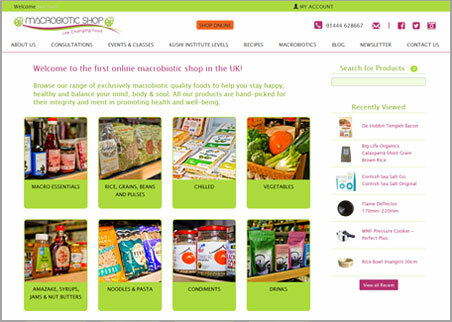 A touch-optimised, responsive, bespoke ecommerce system. 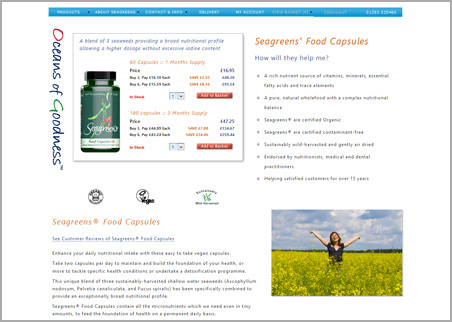 A touch-optimised, responsive, bespoke ecommerce system for a London health store. 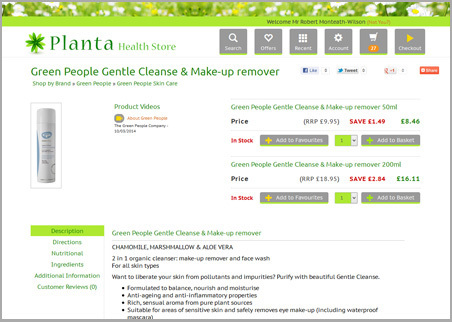 Planta is a London based 'bricks and mortar' health store which has been operating an online shop since 2006. 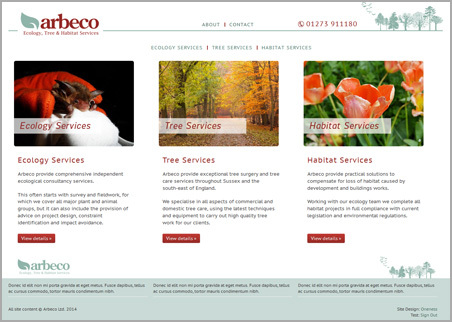 A responsive, touch-optimised website for environmental consultants. 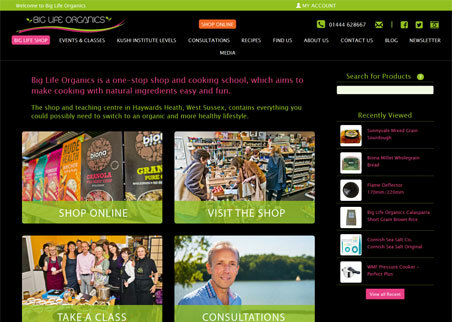 A graphically rich web site promoting a high-quality food store and associated cooking classes and consultations. 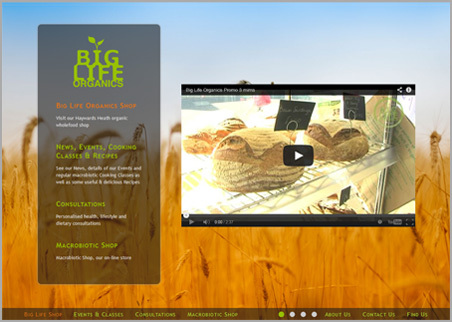 Big Life required a colourful, graphically rich site with a Content Management system enabling them to edit their content themselves. 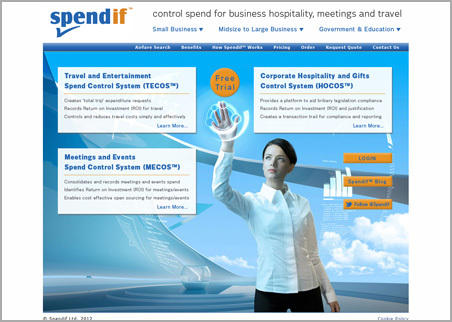 Spendif is a spend control system which is sold as a cloud based licensed software service. 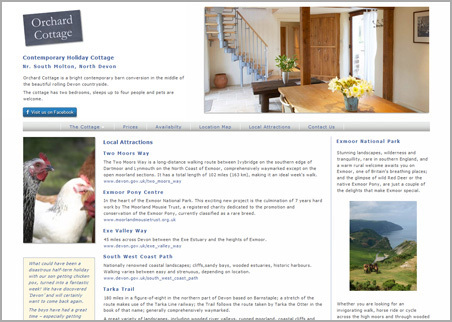 For a holiday cottage near Exmoor in Devon which includes a full holiday booking and payment system. The client can update prices and availability and view booking information on the incorporated backend. 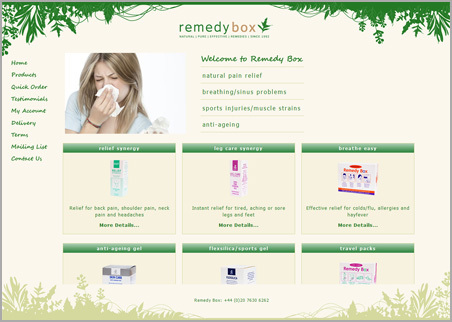 A brand-specific ecommerce website incorporating a full order processing back office system. 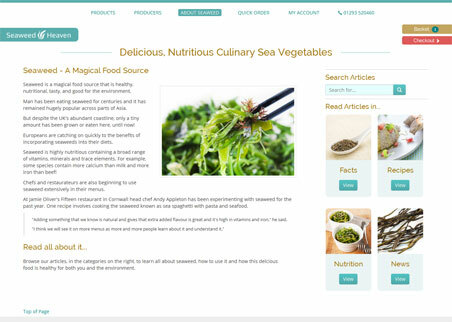 Information rich ecommerce website with full Content Management system including multi-langauge capability. Now fully responsive after 2014 update. 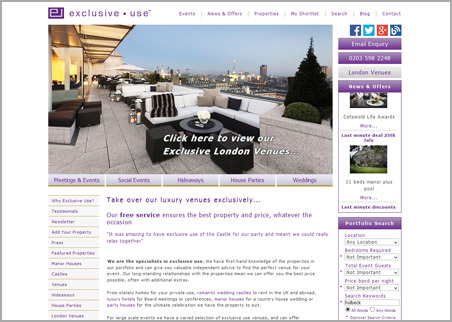 Exclusive Use organise hire of entire hotels and other properties using their bespoke backend system. 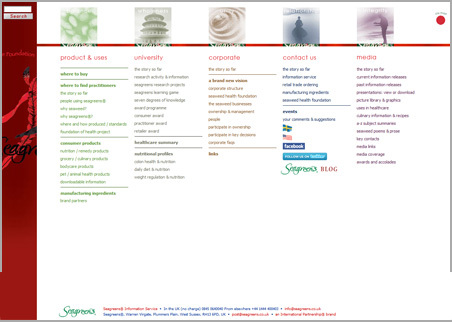 With the graphic design completed by a third party, we created this web site with full CMS functionality. 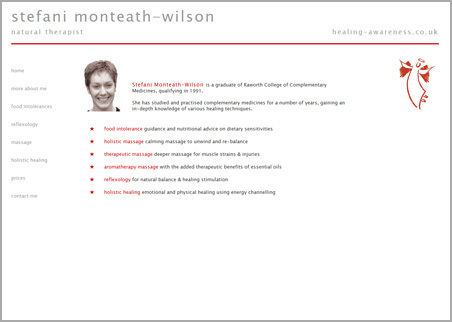 This practitioner website is search optimised and is a strong customer acquistion driver for the client.